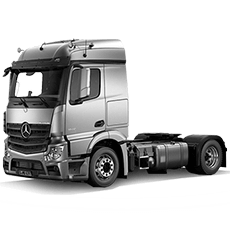 World famous soft drinks leader AG Barr has made a major investment in “future-proofed” transport technology by commissioning nine new tractor units from Mercedes-Benz Dealer Western Commercial. Mercedes-Benz Trucks UK has appointed Katie Purcell to the position of Head of Special Trucks – Unimog. 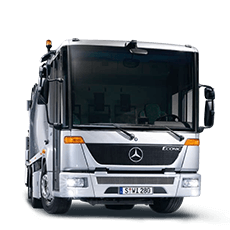 Utilities contractor Ferns Surfacing is so determined to protect vulnerable road users that it has just invested in a pair of 32-tonne Mercedes-Benz Econic tipper-grabs, which are now on reinstatement and resurfacing duties in and around London. 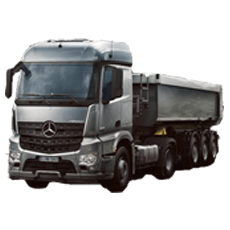 Industry-leading safety technology coupled with impressive fuel-efficiency and strong residual values persuaded high-profile temperature-controlled distribution specialist Samworth Brothers to place a prestigious fleet order with Mercedes-Benz.